Amalgamated Teachers Uninion of Zimbabwe (ARTUZ) members have been arrested again on Tuesday after being released on Monday when the state refused to press charges against them. Nine members of the association were arrested and released on over the weekend. Commenting on the second arrest Human Rights lawyer Douglas Coltart said, "This regime is unbelievable! ARTUZ teachers have been arrested again on their #MarchToHarare! On Monday the State admitted the charges were baseless and dropped after they'd been arrested by Macheke police on Saturday. Now they've been arrested by again by Ruwa police." 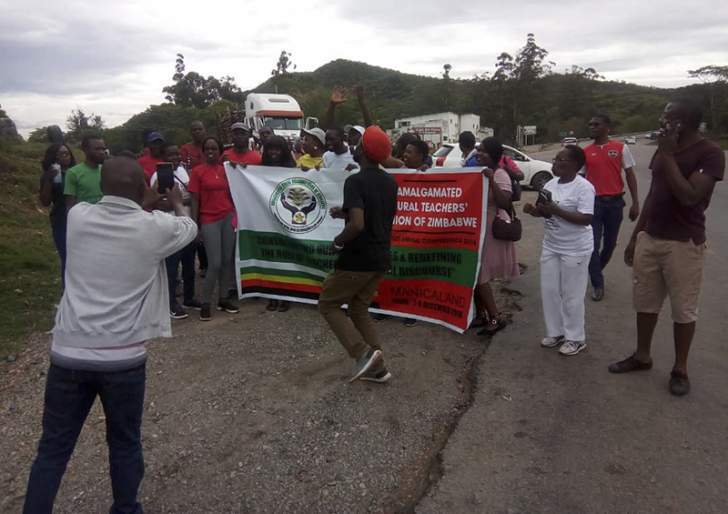 The state had declined to prosecute nine members of the Amalgamated Rural Teachers Union of Zimbabwe (ARTUZ), who were arrested on Saturday while marching from Mutare to Harare.